New Year’s resolutions, especially those that relate to health and fitness, are noble, but notoriously tough to stick to, especially this deep into 2017. So this year, we’re resolving to help you reach your goals by presenting you with some of the most fun and exciting workouts around Phoenix. Better yet, they’re all either free or discounted, so while you might be shedding some weight, your wallet won’t be. 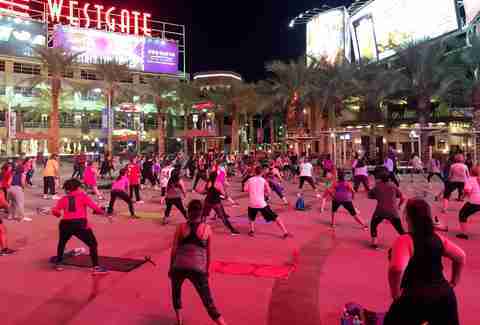 Start off the new year with free fitness classes every Tuesday at the Westgate Entertainment District in Glendale. Each week there are different 90-minute workout classes from country heat to EDM body fitness. Participants are encouraged to dress to each week’s themes, which range from Hip Hop Party to Mardi Gras. Instructors even stick around after each class to answer questions and offer personalized advice. All ages are welcome, just make sure to bring your own mat! Like gym workouts but feel like you aren’t pushing yourself to your maximum potential? Check out Orangetheory and get your first super-intense, calorie-burning hour workout for free. The heart rate-based interval-training class incorporates cardio and strength training to boost your metabolism and maximize fat burning to get you in shape fast, just in time for that tropical summer vacation. Orangetheory even claims that you’ll keep burning calories as a result of your workout for 36 hours after you finish -- sounds like a good deal to us. Love yoga, but aren’t so sure about crazy yoga studio pricing? We’re with you. 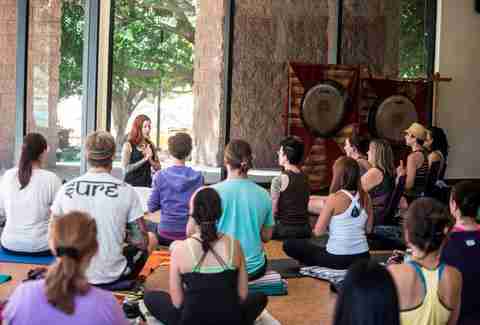 Check out Spirit of Yoga’s classes that are marked “YTT.” These classes are taught by advanced students and are 100 percent complimentary -- all you have to do is fill out a feedback form to help the students improve, so it’s a win-win for everyone. After you make it through a few classes you can look forward to improved flexibility, increased inner peace and of course, better physical health. 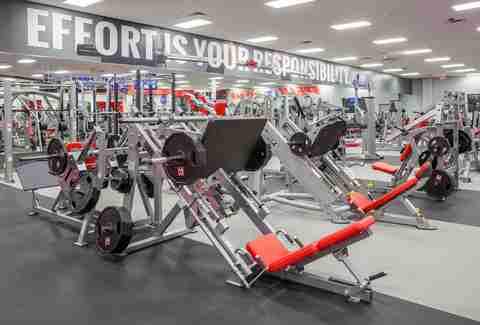 Gyms are often overrated, and overpriced, so why not check out your local rec center? They often have many of the same amenities, but for a fraction of the cost. Phoenix residents can enjoy a $20 annual membership at any of the city’s 32 recreation center locations. Plus, if you have a child under 18-years-old, they can join for only $5 a year! You might not be able to put a price on health, but this seems like a pretty good deal to us. Pilates can benefit a lot more than just your figure -- it can improve your balance and coordination, better your posture, relieve pain and increase flexibility. At Function AZ, you’ll receive a customized plan of group and private classes to help you reach your fitness goals with pilates. New clients enjoy one free session, and can take advantage of a special rate of 10 classes for just $160. There are few things as effective as personal training, and at Mint Body you have the opportunity to reset your fitness plan with a work out with a trainer and receive a free one-on-one fitness assessment. The local studio offers all kinds of services, from personal training and buddy training to group fitness classes and nutritional planning. For those looking to avoid the commute to the gym, they even offer online training. Mountainside Fitness is a locally owned and operated chain of athletic centers that offer a top-quality fitness experience. Give back to your home state and check out the facility when you secure a free, 5-day all access pass, which includes free towel service, childcare, luxury locker rooms, group fitness classes and of course a variety of top tier exercise equipment. 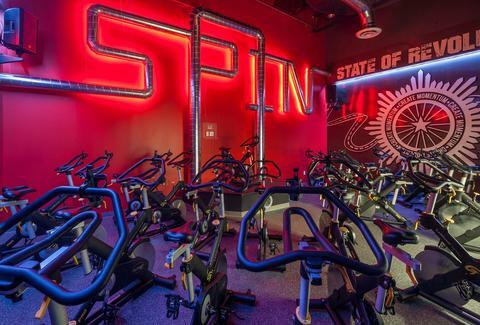 Flywheel Sports is the latest facility to join in Scottsdale’s spin class craze and now, they’re offering Arizonans a cardio lover’s dream with their New Year Challenge special. The challenge is $380 for four weeks and includes 20 class credits, early booking, a nutrition plan and even at-home workouts to supplement the Flywheel classes. What the Hell Is Happening at This Scottsdale Man Spa? Barre classes have swept the nation, and become one of the most popular workouts in the world thanks to its focus on booty sculpting and ab chiseling. Pure Barre couldn’t make testing out this unique workout any easier either with locations that are all over the state and a ton of classes running from 5am to 9pm. New clients can even enjoy a full month of unlimited classes for just $99 -- after that, a month of unlimited classes will cost you $195, but there are still plenty of packages and drop-in rates. If you want to get fit but don’t want to commit to inconvenient class times or unnecessarily long workouts, Simply Cardio is a great option. The 30-minute cardio circuits can be completed at any time during business hours and boasts all the energy and personal attention of a group or personal training class. If you’re not totally sold on the concept of this quick and intense workout go ahead and take advantage of their free first class offer. Sign up here for our daily Phoenix email and be the first to get all the food/drink/fun in town. Jamie Killin is a Phoenix writer who’s as interested in fitness classes as she is a good meal -- follow her on Twitter @jamiekillin.